1980s Cold War proliferation met its match in non-violent feminist action that “taught a generation how to protest” (Beeban Kidron). 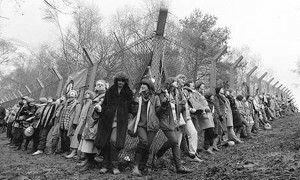 Bringing Greenham Home honours this history in films by Kidron, Sandra Lahire, Lis Rhodes and Sarah Wood. Kidron’s body of film and television work is intrepid, unpredictable and all the more remarkable for it. From her television adaption of Jeannette Winterson’s autobiography Oranges Are Not The Only Fruit (1990) to taking on the quintessential chick lit flick Brigit Jones: The Edge of Reason (2004) up to the more recent teens and Internet documentary InRealLife (2013), her intellectual, political and cinematic curiosity is unstoppable. 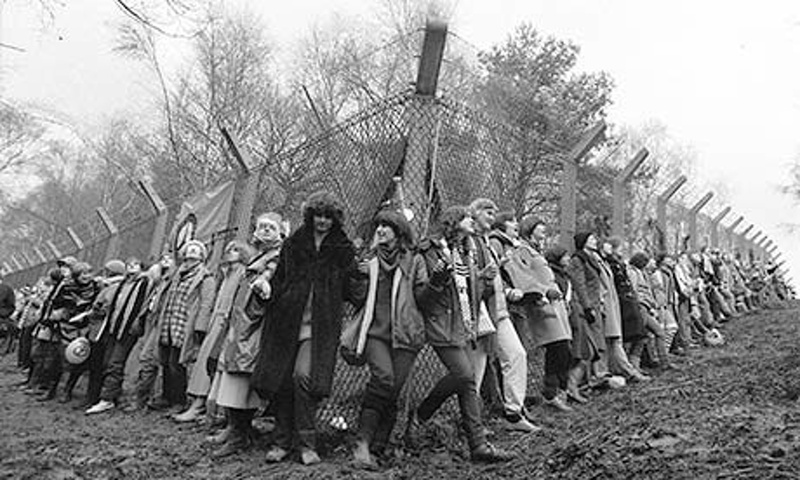 Yet it is her rarely screened National Film and Television School graduation film Carry Greenham Home that we happily revisit and celebrate as a feminist classic. Kidron and her collaborator Amanda Richardson lived at the Women’s Peace Camp for more than seven months. The camp aimed to prevent the sitting of atomic cruise missiles at a US airbase located at Greenham Common in Berkshire. 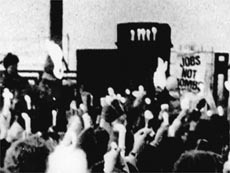 Shot almost entirely on video, the film’s depiction of the women involved in the peace movement contrasts greatly with mainstream media portraits of the time and the subsequent collective memory. 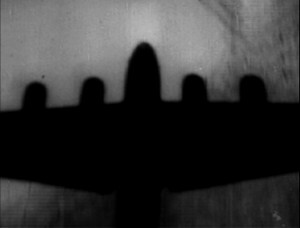 The parallel histories of cinema and aviation revolutionised the twentieth century, generating irresistible fantasies of freedom and control. Three Minute Warning is a fast-forward history of the real impact of blue-sky thinking. You’ve had your three-minute warning: now is it time to resist? 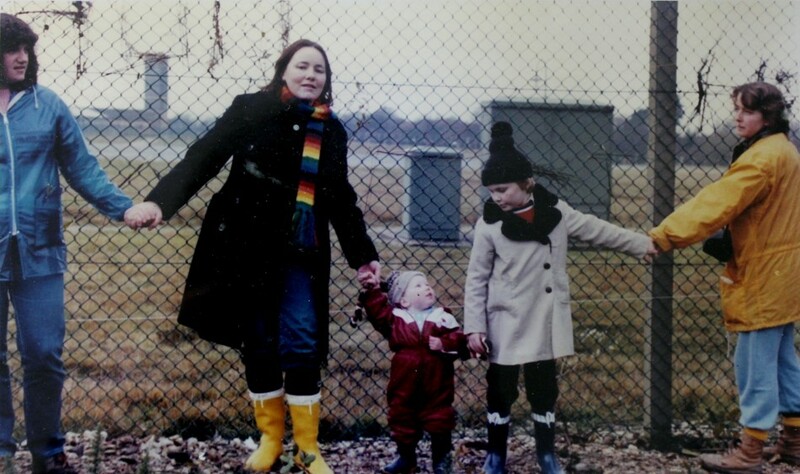 Lahire’s searing anti-nuclear trilogy ( Plutonium Blonde , Uranium Hex, Serpent River ) are key films coming out of the feminist anti-nuclear / Greenham movement. 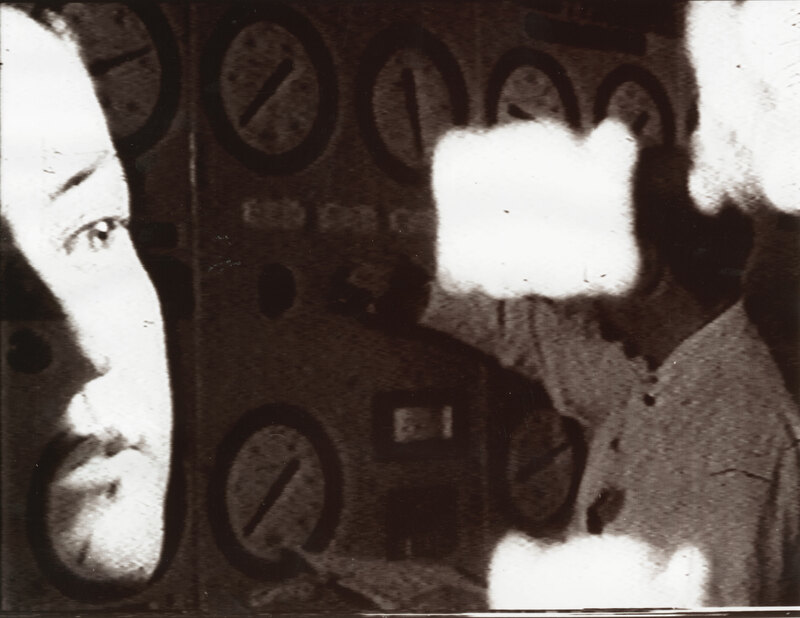 Shot on 16mm, the politics of the film medium and the politics of the subject are one and the same, emerging as politicised queered and gendered bodies through a breathtaking alchemy of images and sounds. The film reveals a stunning array of experimental techniques – superimposition, re-filming, changes of speed, pace, an intricate layering of sound, field recordings mixed with voices and folk music. For wheelchair access, please call HOME t: 0161 200 1500 for arrangements.